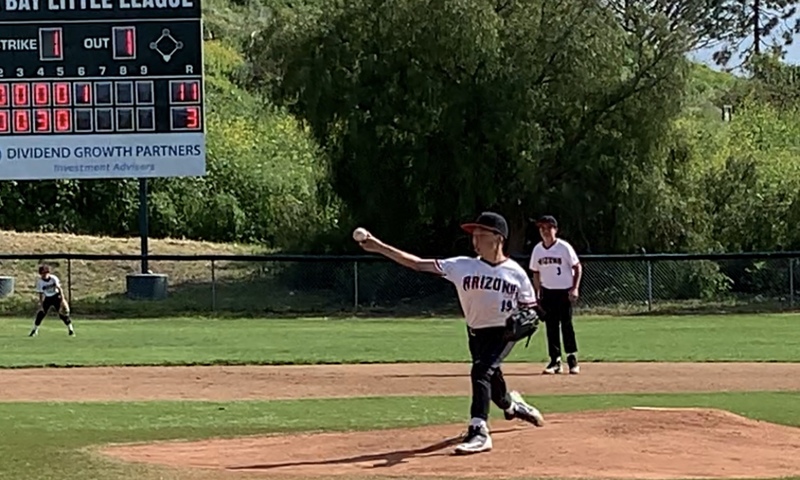 BIRTHDAY BOY BARRIOS LEADS DIAMONDBACKS TO COMEBACK WIN! Scott Barrios celebrated his twelfth birthday in style with a stellar performance, driving in a key run in the Diamondbacks' last inning rally and closing the door himself as relief pitcher, retiring all four batters he faced and striking out the last batter to seal the deal on another comeback win for the LB Diamondbacks, this time over the LB Cubs. This game featured excellent performances all over the field from both sides. The first three innings were a 0-0 pitchers' duel between the Diamondbacks' Patrick Robles and the Cubs' Nic Brae. The Cubs finally broke through with three runs in the fourth inning. The Diamondbacks stiffened up on defense in the fifth inning to keep the game in range, with catcher Telmo Corral connecting with first baseman Donovan Capozzola on a tough dropped third strike to save an important strikeout, and then Kristofer Duarte ended the inning with a running snare of a line drive at second base. This set the stage for the big Diamondbacks rally in the sixth inning to push them over the top. Navraj Singh, Cole Harper, and Drew Smitham paved the way for a monster triple from Robles that gave the Diamondbacks the margin of victory. For the Cubs, John Duffy also pitched well, Mateo Mackiewicz had a nice scoop at first base, and John Bonvechio led the offense, reaching base twice and scoring once. 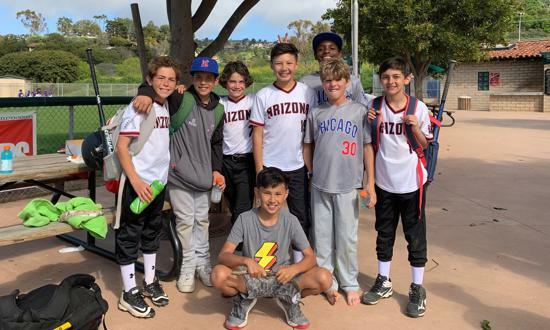 Both teams benefited from good call-up contributions as well: Jake Pekarek and Chance Voytilla for the Diamondbacks and Sullivan Townley and Holton Tyler for the Cubs. Coming up this week: The Cubs play the LB Dodgers on Tuesday, while the Diamondbacks host the PV Royals on Thursday in the last game before Spring Break. Good luck to all!